You know how much we love texture and we totally agree that natural and raw finishes are a current, yet timeless way to bring them into your home. Here are a couple visuals to demonstrate Shea's insight (they both come from Studio McGee's Park City Canyons Remodel). The raw wood stools and floating shelves are giving that "refined rustic aesthetic" and the skinny, vertical, black paneling is a fresh twist on all that horizontal shiplap we've been seening for the past few years. Well, you know how much we LOVE green these days, so we were so pleased to hear that CC is on board with our current obsession. Also really interesting to hear similar thoughts to Shea McGee when it comes to natural wood. This is CC's dining room in Dark Harbor. Completely and utterly stunning. We couldn't agree more. While we do love mid-century furnishings and stylings, nothing is more timeless than traditional. And if there's anyone who hasn't gotten on board with pink yet, even after the millennial pink craze, it's officially time. This gorgeous living room is from Bria Hammel Interior's Mendota Heights Townhome project. You can see where she's going with this pink, floral, traditional prediction - subtle and soft and completely inviting. PS - keep your eye out for a full blown interview with Bria next month. She had so much design wisdom to share with us and we are excited to pay it forward! And, last but not least, us. What are OUR design predictions for this glorious new year? We think cozy is the name of the game this year. Everyone wants to live in a space that is beautiful, but, more than anything, feels like home. Hence the absolute rage of modern farmhouse style (Thanks Chip and JoJo, we all owe you). While we don't think modern farmhouse is going away just yet, but we do think that it's taking a more streamlined turn. A little more minimalist, a little more traditional. We think neutral palettes will rule, and not just gray, but all neutrals. From white to beige to taupe to tan to...alright, fine, gray. Natural wood and natural fibers are part of this neutral trend. Like Shea and CC, we think that raw woods are just at the beginning of their climb to HOT HOT HOT. And with that, we'll see a lot of mixing of wood tones. You don't have to buy everything in "walnut stain" anymore. Just like you can mix and match throw pillows, you can mix and match wood finishes, you just need to find the right balance. 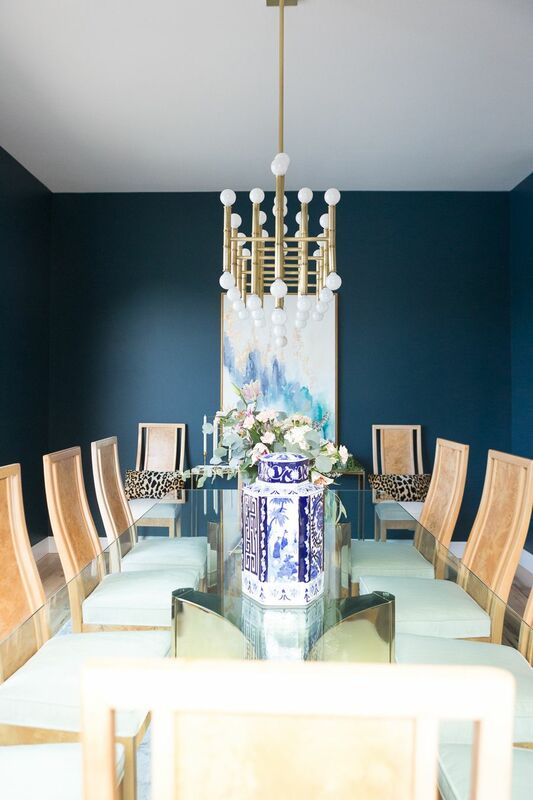 Finally, pops of deeply saturated color (black, caliente red, blue and, of course, green) will provide the whimsy and fun that every space needs to give it some personality and interest.